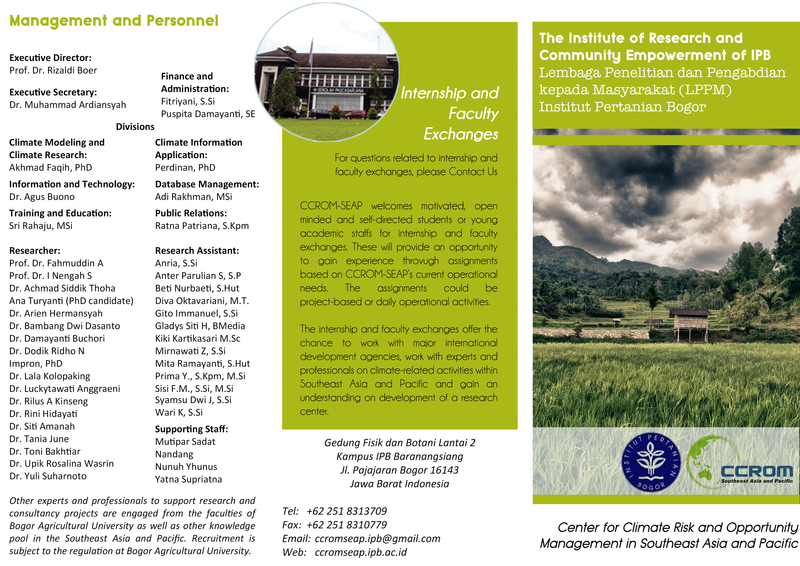 Ms. Sulis was graduated from Land Resource Management program, Bogor Agricultural University in 2014. Previous Ms. Sulis has been involved in several research projects in Center For Regional System Analysis, Planning and Development (P4W-IPB) related to food security and forest fires which are; Mapping Commodities in Papua Province, mapping the fields for the preparation of RTRW-RDTR Garut and Tuban District, and Prone Region mapping forest fires. 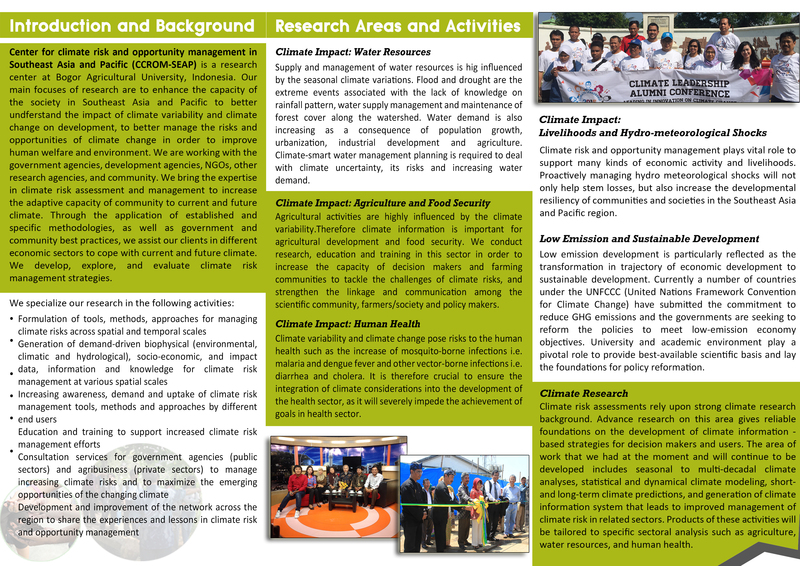 After graduated from university, she works at Center for Climate Risk and Opportunity Management (CCROM) as Research Assistant. She has basic competencies in using Geographic Information System (GIS) and Remote Sensing.